Intelligence WiFi by True Internet is another smart solution widely used by various types of businesses from service, retail, hotel and many others who would like to provide their customers with a high quality Wi-Fi service. Intelligence WiFi offers you many smart features that can strengthen your competitive advantage, increase your business value and expand your growth. It is another intelligent option to boost the quality and effectiveness of your marketing activities. With benefits beyond Private Wi-Fi service, Intelligence Wi-Fi serves you with simple and user-friendly connection via Social Network such as Facebook, Instagram, Twitter and Linkedin, or acts as our smart partner who helps us knowing our target group’s profiles. The user access profile can be customized, such personal information of users as age, gender, frequency of use and lifestyles, which would be useful for the behavioral analysis to plan and evaluate your marketing, promotional activities or public relations media that can well reach to your target group. 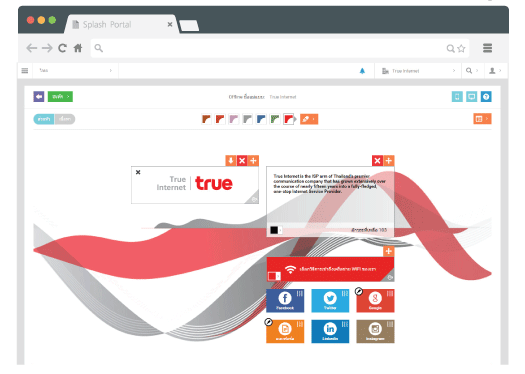 Why Intelligence WiFi by True Internet? as in-depth user information can be a useful source for optimizing your marketing activities. from Cisco Meraki with its high level of effectiveness and security of Layer 7 can assure you that your administrator can safely centralize the system administration and control via Cloud Controller, and can easily manage the intensity of users. Wireless Access Point also comes with a wide range of qualities from Identity-based Firewall Policy, Network Access Control, Content Filtering, Application Traffic Shaping, Wireless IPS, Hardware/Software Inventory Management to Client Insight. in accordance with the Computer Crimes Act B.E. 2550.
with our end-to-end service from consultation, check-up, problem solving to system monitor as well as after sales service with our professional support team of well-certified engineers to ensure your smooth and efficient operations. Splash Portal allows you to customize the content on the Wi-Fi log-in portal, which supports both text and image formats. 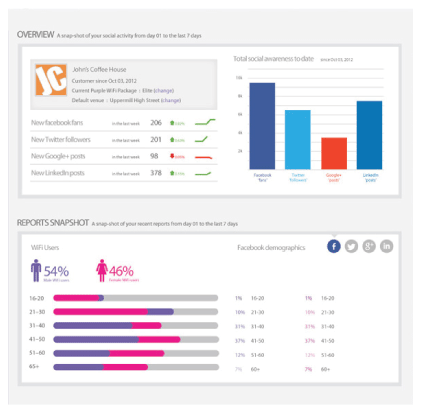 Marketing data and campaign can be grouped and presented via Splash Portal. The date and time can be specified as well. You can customize your desired data according to equipment group such as different regions, provinces and districts. You can easily access to the Internet and immediately log in via Social Network such as Facebook, Instagram, Linkedin or Twitter. No need to create and remember Username and Password again. 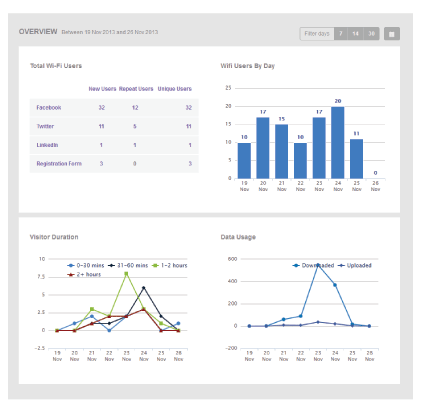 When users log in, usage data will be collected every time. Usage histories will also be recorded as a useful information for the behavioral analysis to plan and evaluate your marketing, promotional activities or public relations media that can well reach to your target group. Such records can help you analyze users’ behaviors such as purchasing reasons, purchasing behaviors, channels and frequency of purchases, etc. Our feature collects these information as a customer journey from the beginning until the specified marketing campaign, and allows you to analyze such information according to location base where the equipment is installed.